Bloating can be very uncomfortable as well as unsightly. Pushing through your clothes, it looks like you’re weirdly pregnant, like Arnold Schwarzenegger in his movie ‘Junior’. There is a common misconception that bloating occurs due to ‘water weight’. This is not the case at all. The abdomen is not the place that fluids collect; if you had fluid retention you would first see it in swollen feet and ankles. In fact, bloating is actually due to excess intestinal gasses and can be caused by a number of things, from a bad diet to allergies to irritable bowel syndrome. Luckily, bloating is not only easy to avoid but also pretty simple to deal with when it occurs. Rather than having to just ‘wait it out’ you can follow a couple of these tips and tricks to get the blockages of gas out of the intestinal tract, getting the digestive system flowing more smoothly. There are some foods which cause the body to produce gasses. These foods will more likely lead to bloating. By cutting these foods out of your diet, you will see a dramatic decrease in bloating cases and you will feel the pressure release in your abdomen. These foods include beans (obviously! ), onions, cabbage, broccoli, and cauliflower. Constipation is a sign of a blockage in the system. It can be caused by all types of things from diet to irritable bowel syndrome. However, to prevent constipation, you need to introduce more fiber to your diet. Fiber is found in fruits and vegetables. Split peas and lentils have very high levels of fiber at around 16 grams a cup! However, the body needs around 25 grams a day, spread out throughout the day, so snacking on fruits and vegetables throughout the day will also help to introduce fiber to your diet. You can deal with blockages in the digestive tract, including gaseous blocks, by drinking herbal teas. There are various herbs which are excellent for soothing the stomach, decreasing inflammation, and unblocking the system. 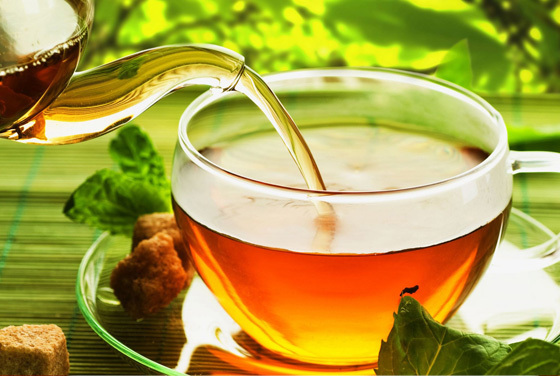 The most well-known and popular is peppermint tea, but ginger tea and chamomile tea can also be useful for this. This is an old English remedy which has been used since the Middle Ages. Grab a couple of caraway seeds and simply chew on them. 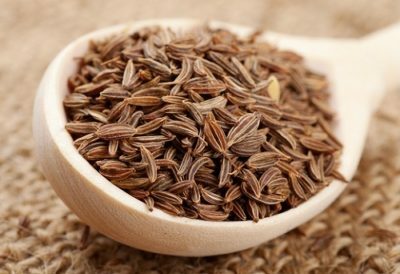 The oils in the caraway seeds are great to reduce bloating as they improve digestion and relieve spasms in the stomach that can come from trapped gas. Anise seeds work too due to their anti-spasmodic properties. This is a remedy which has been recommended by the Gerson Institute who provide an excellent alternative cancer treatment. Put a tablespoon of apple cider vinegar into half a glass of water and swallow it. 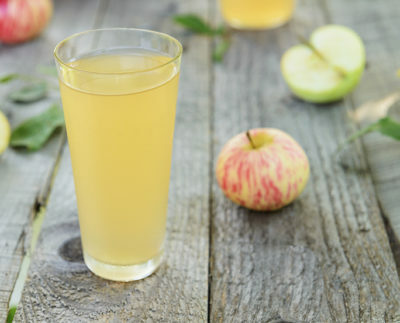 You should use raw, organic, and unpasteurized apple cider vinegar. This same remedy also works for heartburn! This is a practice you should do anyway as lemon water is alkalizing to the body which helps to fight against cancer, while lemons are an excellent source of vitamin C. In terms of bloating, lemon stimulates the production of hydrochloric acid, which is the acid that breaks down our food. If more is produced, it helps to break down the gasses to be released, reliving that bloated sensation. If you are looking for something that helps bloating in the long term and helps to reduce belly size, you can always try a supplement like ‘Flat Belly’, which will reduce puffiness and the appearance of a swollen belly.